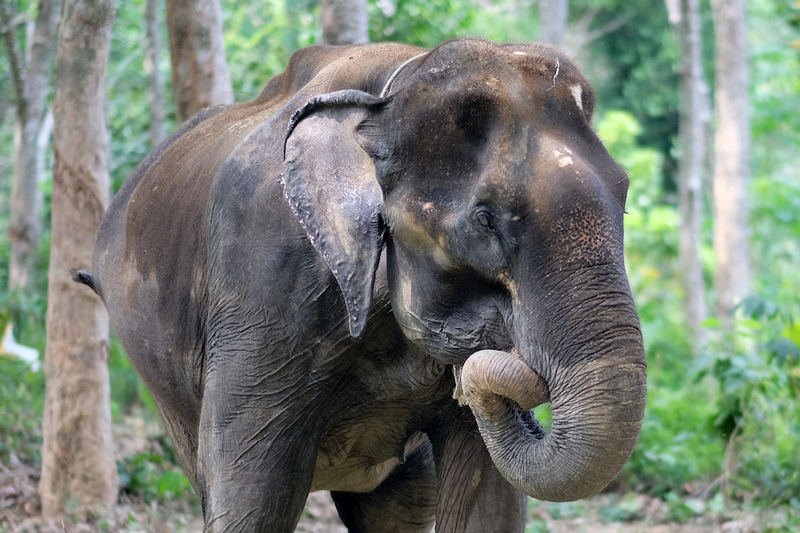 Sai Tong’s journey to Phuket Elephant Sanctuary started with a message from a visitor who spotted the poor elephant in February 2018, tied to a tree in the blistering heat on the island of Koh Lanta. 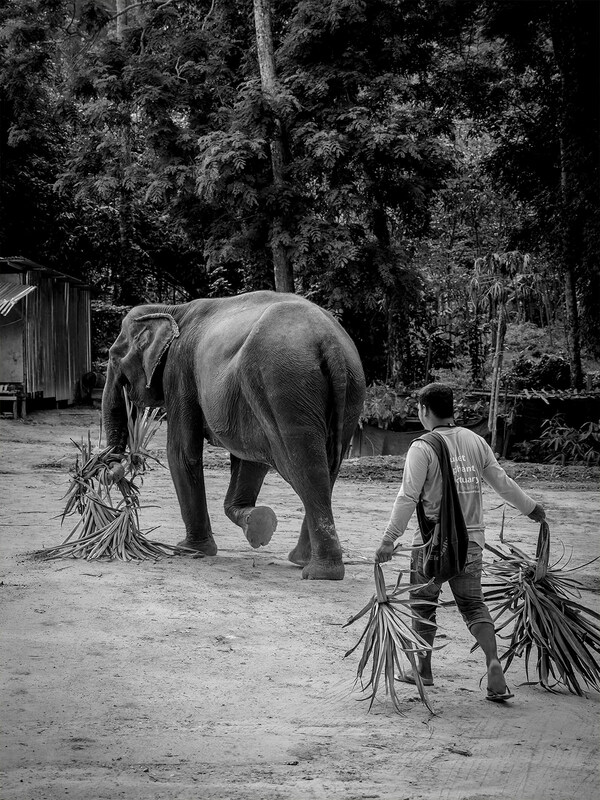 Upon receiving her request to help, our founder Mr. Montree and the team went to visit ‘Phang Duan’. Skinny to the bones, weary and dehydrated from the heat she was shaking her body in a clear sign of mental distress. She also had an infected wound on her leg. 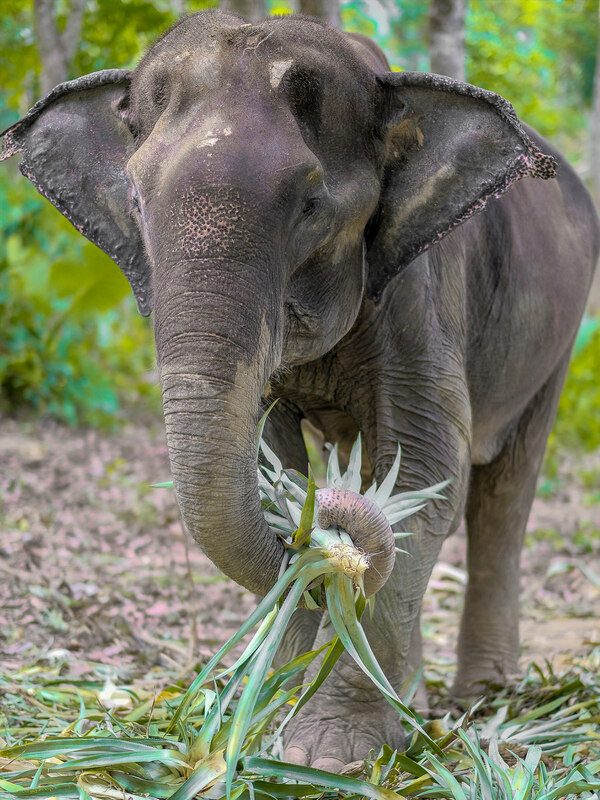 Her name “Duan” means “maimed” in Thai and may have been given to her because a section of her tail is missing after having been bitten off by another elephant in the past. 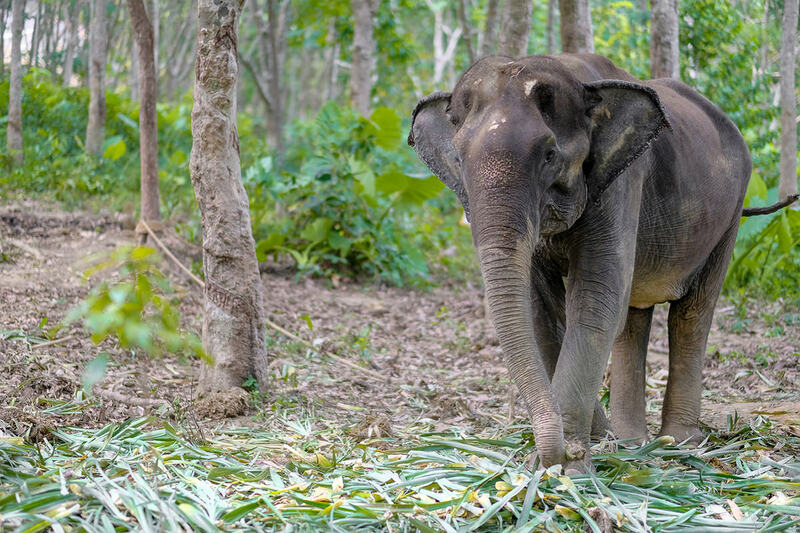 From the owner we learned that Duan had worked in the logging industry in Southern Thailand for many years before being moved from Trang to Krabi to walk the streets with previous owners to sell bananas and having to endure hours of bathing with tourists each day. 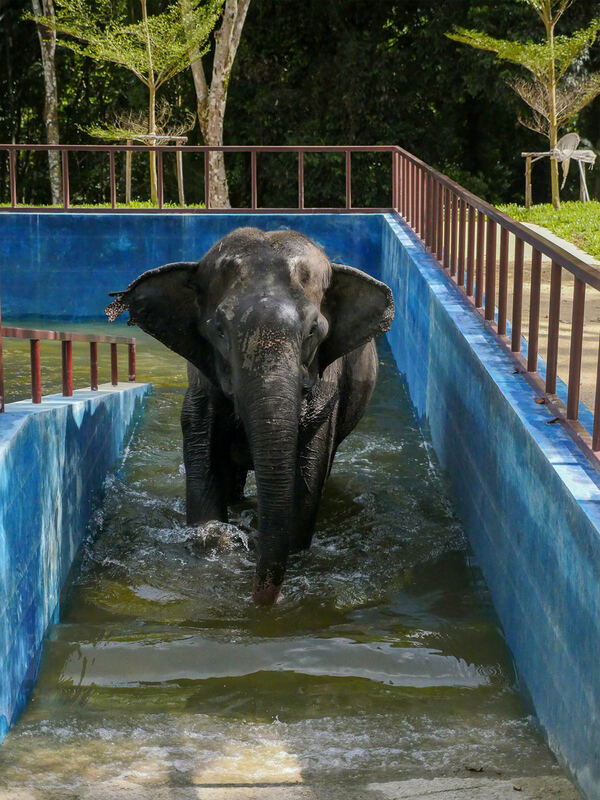 In April 2018 all of this changed for the 55-year old gentle giant as her chains finally came off and she embarked on a last journey from Koh Lanta to Phuket. After 5 hours by ferry and truck she arrived safely. 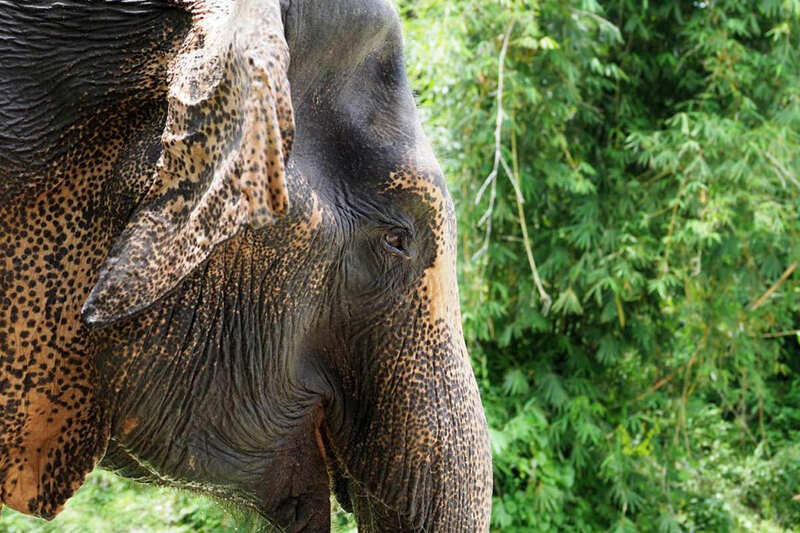 Her new name is Sai Tong, and her new home the Phuket Elephant Sanctuary.